Romania had been hosting several international youth basketball competitions. But this summer it is the first time they are hosting the FIBA Europe U18 European Championship Women Division A. 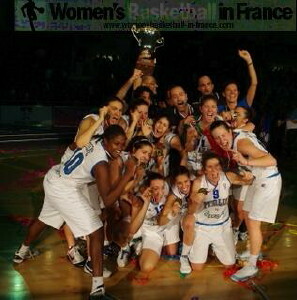 The tournament will be held in Oradea between 4 August and 14 August 2011 with Italy hoping to defend their title. Arnaud Guppillotte has taken over the head coach duties for France. He was previously the head for France U16 and U17. France won the bronze medal last year and qualified for the U19 FIBA World Championship to be hold in Chile later this year. France have been drawn in Group D with the Czech Republic, Slovak Republic and the Netherlands. 17 teams will contest the Division B championship in Miskolc, Hungary.